Safety(self-serve protection) Internal overload protection is build into motor and Additional thermal overload protects the entire machine. Quality assurance Product quality assurance, with a product license, to provide the perfect after-sales service. After decades development, also we have an experienced after sales and a professional Technical team. Shenzhen Oceanpower Industrial Co., Ltd.
Zhengzhou Imaker Machinery Co., Ltd.
We are committed to the production of food carts with good quality and competitive price. We hope to cooperate with customers for mutual development and benefits. and the American we have transported ever before , and we have agent in Western African countries. Nanjing Prosky Food Machinery Manufacturing Co., Ltd.
2. According to user environment and local climate to choose Air_Cooler or Water_Cooler . 1.How to choose from air cooling and water cooling 9 Our standard is water cooling machine. If you want to customize the machine please contact us to confirm the time . Provide freezer improvement and marketing solution. d. T hree times inspection during one production flow. g. Check email and choose models in our catalogue. c.
Foshan Aspera Electric Industrial Co., Ltd.
Micro-computer controlled system, regulate the hardness at any time. Equipped with the leading completely-sealed compressor R404a refrigerant. The caster wheel fixed to base of machine can move conveniently and freely. New Italian ice cream cone making machine Introduction of ice cream cone making machine ice cream cone making machine is mainly used for making crispy ice cream cones, widely applied in various snack shops, such as restaurant equipment, cake room equipment, coffee shop equipment, bakery equipment, the western shop equipment, beverage shop equipment, frozen food factory equipment. 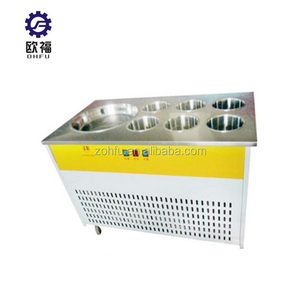 commercial wafer ice cream cone maker is designed to make various cones. Ltd Name Victoria Email victoria (at) Skype greatcity-victoria If you have any questions, please feel free to contact me. 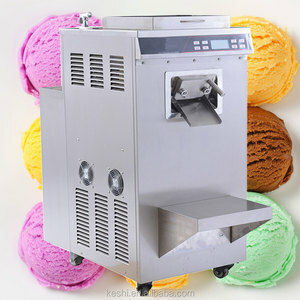 20L Italian gelato Commercial making hard ice cream machine 1. 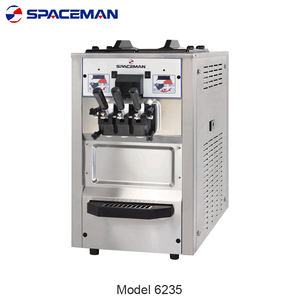 Full Stainless Steel machine body,quality imported compressor, this model has high efficient to make hard ice cream. We are a comprehensive company gathering researching, manufacturing, and selling food machinery. We hope to supply our customer the quality machine and best service! Vevor soft ice cream maker machines are simple, practical, inexpensive, and can be freely modulated according to different tastes, combined with a variety of fruits, candied fruit or sugary liquid into ice making machine. There's one thing you need to know that this type of 2+1 mix flavors soft serve ice cream maker machines are all tested when being produced, so you need to clean your machines before using. 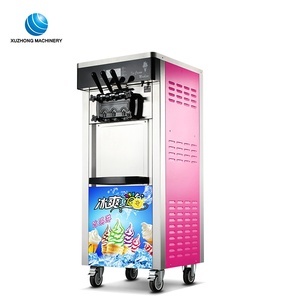 Features Good quality and easy to operate and clean Two flavors + one mix design (the most popular design in the world) High & low voltage protection and warning device (components of ice cream machines can be protected and users can be reminded. 3.When to deliver the goods after the order is placed9 It depends on the quantity of the products. 4. Does your company accept customization9 We have excellent design team, and we accept OEM. 5.What about the cooperation process9 Confirm details of the order, 30% deposit, arrange to produce, pay the balance before shipment. Jiangmen Icemate Refrigeration Equipment Co., Ltd.
We welcome both old and new customers globally, to contact us for future business relationships and mutual satisfaction and success. 1. Are you factory9 -- Yes, we are located in Jiangmen city Guangdong province,China,Welcome to visit our factory for further discuss. 3.Do you have MOQ9 -- No, we have not MOQ,you are welcome to order 1 unit to test our machine quality first. Jiangmen City Rainbow Industrial Ltd.
3. Pre-cooling function makes ice cream fresh all day. 7. New Surface Appearance and refrigeration system design. 8. Your best asset to launch your own soft ice cream business. Foshan City Hong Team Electrical Co., Ltd.
Italian Ice Machine has been an importent product in the Ice Machines market over the past year, and it was very popular in United States,Canada,Wales,Greece and India; As shown in the distribution chart, market shares of these countries are folowing: [ US:79.09%, CA:1.12%, GB:1.02%, GR:0.97%, IN:0.93%, other:16.86%]. What's the trends of Italian Ice Machine product's market in 2018 (Dec 2016 to Jan 2019)?we have studied one years data on online sales, global shipping, search, sourcing and requirements of following products Ice Cream Machine. Flake Ice Machine,Here is the report.During the research period (Dec 2016 to Jan 2019), the major trends are as following.